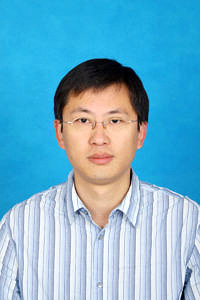 Dr. Xiaoming Chen obtained his PhD in electronic engineering from Zhejiang University, China, in 2011. 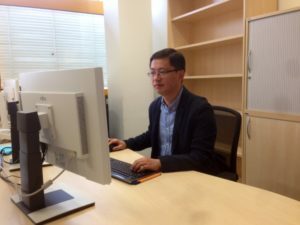 He then joined Nanjing University of Aeronautics and Astronautics in China, where he is currently an Associate Professor. He was a Visiting Professor at Singapore University of Technology and Design during the summers of 2012 and 2013. His research fields are in wireless communications and signal processing with a particular focus on physical layer security. He has published more than 50 papers in IEEE journals and conferences. He is serving as an editor of IEEE Communications Letters and an associate editor of IEEE Access. He joined the Institute for Digital Communications at FAU as a Humboldt Research Fellow from February 2015 to June 2016. There are lots of famous professors and research fellows in the field of wireless communications at FAU. Information security is a critical issue in wireless communications. Due to the broadcast nature of wireless channels, wireless signal can be also received by unintended nodes, leading to an interception event. My research aims to guarantee secure communications through physical layer techniques. There are lots of famous professors and research fellows in the field of wireless communications at FAU’s Institute for Digital Communications. I expect to exchange ideas and collaborate with them during my visiting. I am at the Institute for Digital Communications chaired by Prof. Robert Schober, who is a world-famous scholar in wireless communications. He was an editor-in-chief of IEEE Transactions on Communications. FAU is a typical German university, and each professor conducts their research independently. At my home university, we like to jointly work in a big group with several professors. My research group at FAU aims to achieve the goal of high-speed, secure and sustainable wireless communication. We develop various wireless techniques to approach this goal. I am one of the main research scientists in my research group. I am responsible for designing physical layer security techniques to realize secure transmission over wireless channels. I propose to use massive multiple-input multiple-output techniques to guarantee wireless security, which can solve two challenging issues in physical layer security, namely no eavesdropper information and short distance interception. I intend to provide advanced wireless communications, so as to satisfy the demand of various wireless services, while guaranteeing information security. I was impressed by the large coverage of forest in this area. I enjoyed jogging and biking in the forest with my family. People here also enjoy doing these sports. I can’t forget the moment when I saw the Erlangen carnival parade with my daughter; we enjoyed that very much. The national museum, the train museum and the forest. If possible, I would like to visit FAU again in the future.